This is the second book in the Helen Grace Series. I didn’t read the first book. I loved that the chapters were short yet full of intensity. In this book we have a serial killer who is killing men who have visited prostitutes. What was disturbing was that the killer keeps sending body parts to the victims’ families. I loved this because it was just creepy enough to keep me reading, turning pages as quickly as I could. The author has done a great job of creating characters that have flaws. This makes them more believable. If you like lots of description in your books then this is the book for you. 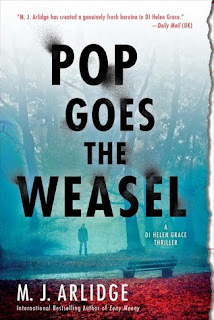 I can’t wait to see what cases Helen Grace has in the next book, “The Doll’s House”. I feel like I definitely must go back and read the first book in the series. I will leave this warning. This book is quite a bit on the dark side. Maybe that is why I liked it.